10 Best Trade recently revealed the best trade school for students who want to train for a technical job. This list features Fortis Institute, Lincoln Tech and Business Informatic Center, which offer excellent academic courses and the proper skills training that is necessary for individuals to achieve their vocational goals. 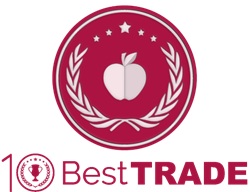 10 Best Trade is pleased to announce the launch of a new monthly award: Best Trade School. This award acknowledges the schools that excel in providing students with the customized, cutting-edge educational services and courses necessary to prepare them for work in the real world. Read on to learn about some of the schools that topped the list. As a top tech university, Fortis Institute excels in providing students with the training and education necessary to realize all of their vocational goals. The programs provided by the learning institution were created to ensure that students successfully complete their degree and enter the job market as quickly as possible. To ensure that the program courses are comparable to the various schedules of students, Fortis Institute is pleased to provide individuals with the opportunity to study during the evening or the day time. This school system has campuses located in several states throughout America, including Alabama, Florida, Ohio, Arizona, Georgia, and Texas. The school is excited to offer programs in diverse fields, including commercial driving, skilled trades, information technology, healthcare, dental, and nursing. Lincoln Tech placed second on the list of best trade schools, and it is a learning institution that excels in providing clients with absolutely incredible academic courses and experiences. The school has campuses in several states, including Texas, Rhode Island, Tennessee, Pennsylvania, New York, Massachusetts, New Jersey, Maryland, Nevada, Indiana, Colorado, Florida, Illinois, Georgia, and Connecticut. Students can earn degrees in a number of fields, including Information technology, business, cosmetology, spa, culinary, health sciences, skilled trades, and automotive. Students from the school have gone to become profoundly successful with venerable companies like Whole Foods Market, Mary Kay, and Tyson Foods. Individuals who are looking for an exceptional trade school should set their sights on Business Informatic Center. As a premier tech university, Business Informatic Center is a two-year institution that provides students with business degrees and several other associate's degrees. The school also enables students to earn certificate programs so that they can learn a skill and then enter the workforce quickly. As a diverse institution, Business Informatic Center is populated by students with all types of interests and age groups. For more information about the award winners, please visit http://www.10besttrade.com.